Originally built by the Civilian Conservation Corps in 1942, the Mount Diablo Summit Museum is a historic icon. The summit of the mountain is actually exposed inside the Visitors Center and the views from the observation deck are legendary. Every year on December 7th, the rotating beacon on top of the museum, originally a navigation aid for early air travelers, is lit to honor the survivors of the attack on Pearl Harbor. The museum exists in a harsh environment subject to high winds, heavy rain (and sometimes snow), and temperature extremes. The museum hasn’t had a significant upgrade since the current Visitors Center opened in 1993. Mount Diablo State Park has announced a planned renovation of the Summit Museum/Visitors Center that will include new exhibits and facility upgrades. 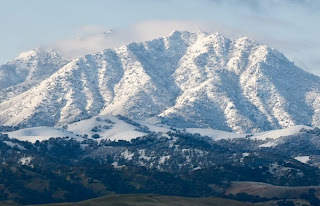 To support this effort The Mount Diablo Interpretive Association (MDIA) has launched a campaign to raise $30,000 for the renovation. I have donated two, approximately 16×24″ unframed prints to the cause that MDIA will be auctioning on EBay starting on September 15th. For more information about the EBay auction, the renovation project, and the MDIA campaign, please visit the Summit Renovation page on the MDIA web site and consider either bidding on the prints or making a donation to the cause. Click on the link or the image to reach the Ebay auction page for each print. © 2010 – 2011, Scott Hein. All rights reserved. 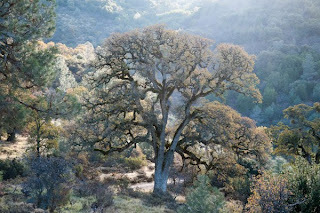 This entry was posted in Mount Diablo Interpretive Association, Mount Diablo State Park. Bookmark the permalink.